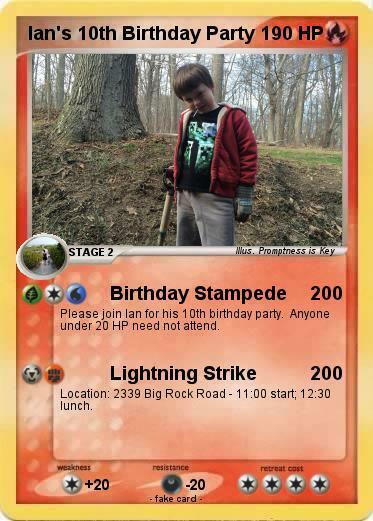 Please join Ian for his 10th birthday party. Anyone under 20 HP need not attend. Location: 2339 Big Rock Road - 11:00 start; 12:30 lunch.